I am sure you are all exhausted by now with baking Christmas goodies (I know I need a little break 😉). 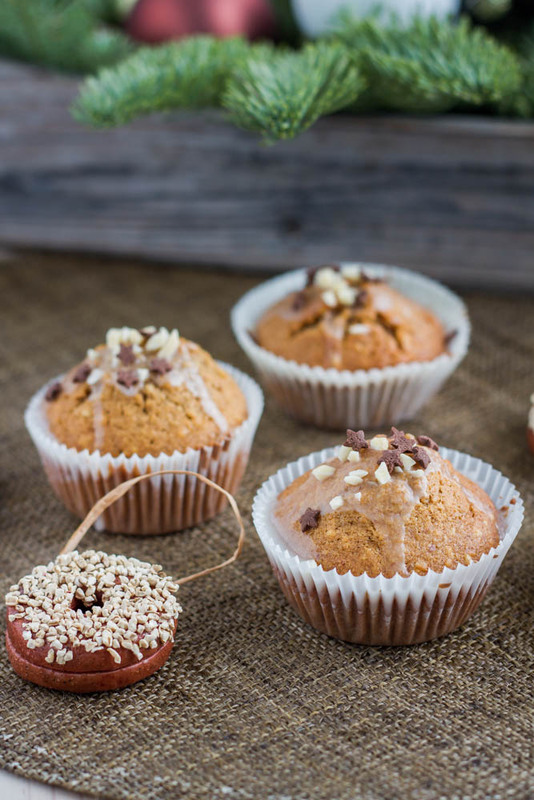 But for those who need a last-minute recipe which is quick and easy but still super delicious I have something: Speculoos Muffins (or Speculaas or Speculatius…)! You know these super delicious crisp cookies full of flavor? 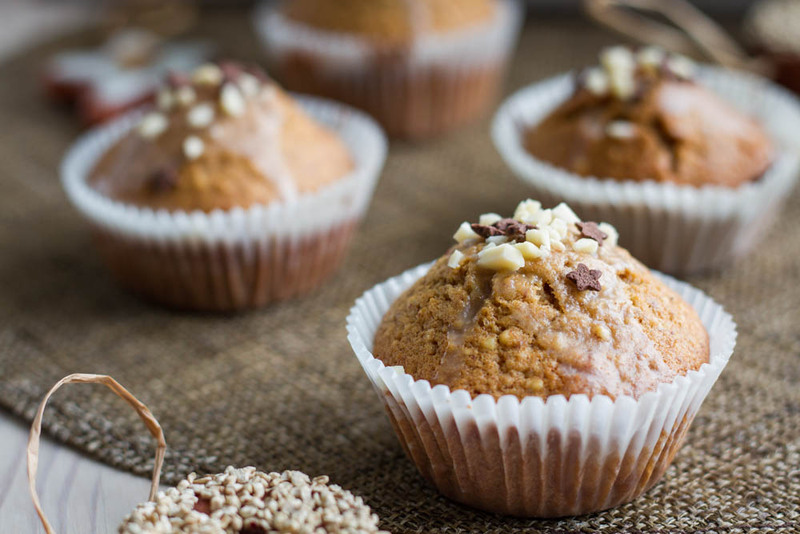 Well, if you have some lying around somewhere than you are already halfway through the recipe 😉 Just smash them up and make a quick muffin recipe by mixing the wet and dry ingredients separately and combining them. I made a quick icing on top but they are also delicious without anything. 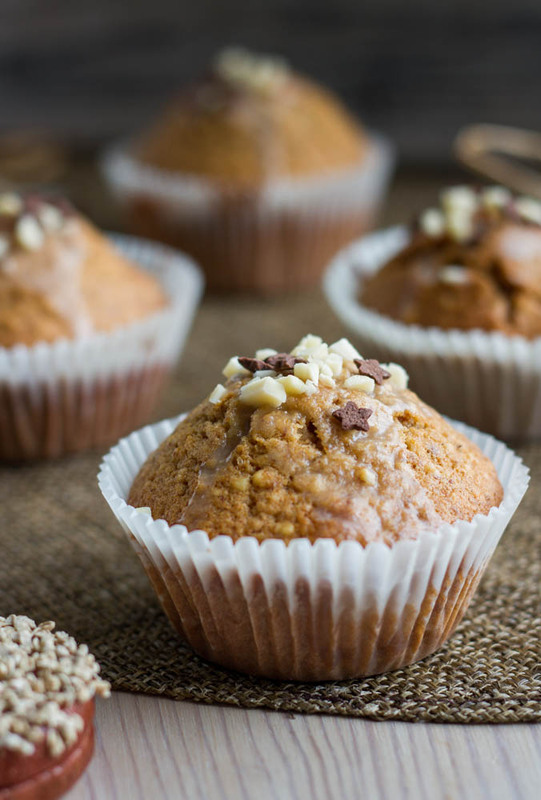 I got this recipe from a colleague of mine and had to try (and share) them before Christmas! I hope you will enjoy them and have a very nice holiday! Use a food processor to grind the speculatius cookies very finely. Recipe from a colleague and as it was just brilliant as it was I didn’t change anything.